How About Uni Brand Food? A leading department store, Shinjuku Takashimaya, recently held the 6th fair to promote the food developed by 35 Japanese university research groups. This food festival displayed various vegetables, meat, sweets and many more which were developed through their research. Some of them are commoditized in collaboration with local companies and hoped for local revitalization. 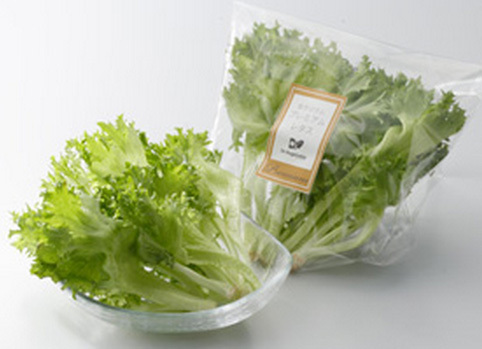 This fresh green lettuce was developed by Faculty of Bioresource Sciences in Akita Prefectural University. The lettuce was developed in response to the need of those who suffer from impaired renal function. They need to monitor their intake level of potassium and are often limited with their special diet and cannot enjoy the same dishes with their family. The research group managed to reduce the potassium level by 20% in comparison to the ordinary leaf lettuce. It is now patented and a system for mass production as well as sales channels are prepared. Mr. Sato who has engaged in the commercialization hopes to contribute to the revitalization of the society through the university research project. 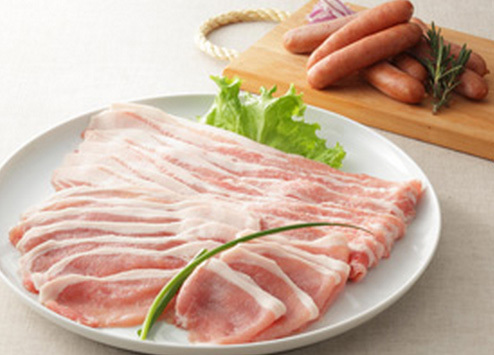 Chiba University, Graduate School of Advanced Integration Science in cooperation with a local corporation developed the less fat pork which is targeted for those who are healthy conscious. They cut down 30% fat in the red meat by mixing their microbes which were originally developed to reduce the smell of urine and feces into the feed. The sales routes are now expanded including the internet. 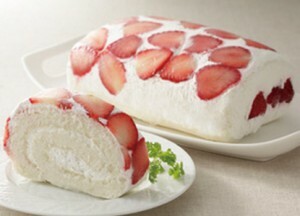 It was a motivator for the researchers that the affected children by the Great East Japan Earthquake who were not able to eat the sweets donated due to their allergic reaction to the flour, eggs or dairy products. 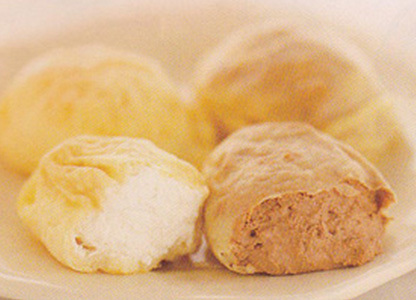 Their sweets, such as choux crepe, roll cake and biscuits, were made with soymilk or rice flour and they are popular and safe among those children. They are currently purchased at patisseries in Niigata prefecture. Many more products were displayed at the fair and expected for further development.